Sorry for the delay in posting this; I've had some blogging issues. CONGRATULATIONS to Holly and to Leslie! Thanks to everyone for hopping along with us! 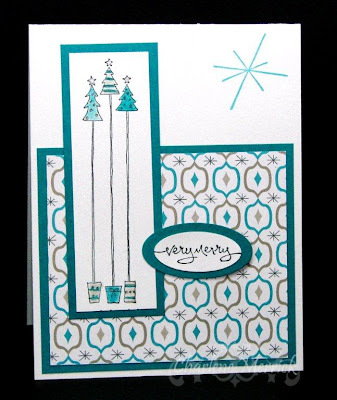 Now, onto my card for this week's CCEE Stampers challenge given to us by none other than the super uber talented Joanne (aka JoJot on SCS). Jo gave us a terrific sketch challenge for our weekly challenge! It was about 10:00 p.m. last night when I realized I hadn't made my CCEE challenge card, so I had to get my you-know-what in gear at the last minute. Thank goodness Jo gave us such a great sketch design with which to work! It's never too early to start on Christmas cards, so I pulled out some Oldie But Goodie stamps. I colored the trees and buckets with reinkers and a blender pen. I had to make this a quick, easy one so I could get to bed in a timely fashion for work today. We hope you'll play along with us! You can see the cards my talented team members made and get the challenge details HERE! Fabulous card ... hmmm I guess it won't be long before I will need to think of making a start on some Christmas cards yikes! That is a great sketch. Looks like you found the perfect stamps for it. 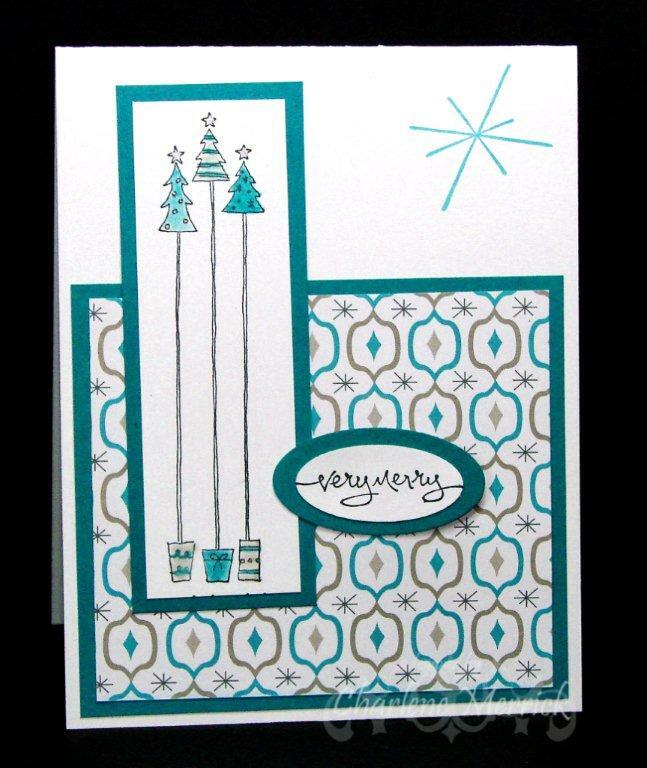 Mighty purty, Miss Charlene...love the colors you used and what a cute stamp!!! Christmas...yikes!!!! Didn't I jusy put the tree and decorations away???? I may have to buy cards for this year...hanging head in shame!!! !